Email for Business, an app from Extentia Information Technology, and available for iPad through the Apple iTunes App Store for $4.99, is an excellent app that really expands the business use of the iPad far beyond the current capabilities. In fact, a lot of the features included in the app really should be a part of the default iPad Email client! The app allows you to create custom designed emails with beautiful designs very quickly and easily. You simply pick a template, and away you go. The default templates for a variety of subjects and email types, are good enough, but there is plenty of customisation to do here as well. You can create a profile, and add your company logo and social network links to it, which really does make the app stand out, and it is far easier to use than any of the Web interface based solutions out there. Impress your clients and colleagues with stunning letterhead designs that are extremely easy to customize. 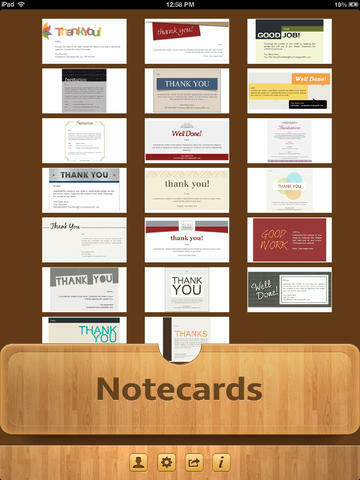 Thank a colleague or appreciate the effort of an employee with our attractive notecards. These are so easy to use; you’ll want to use them over and over! Set up a user profile with your business details just once. 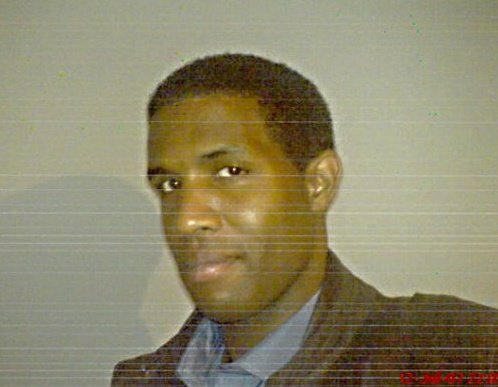 All your information will automatically be added to the template. No more wasting time on repeating unnecessary steps! Email for Business features a 3-dimensional drawer dashboard that has over 35 unique letterhead and notecard templates. 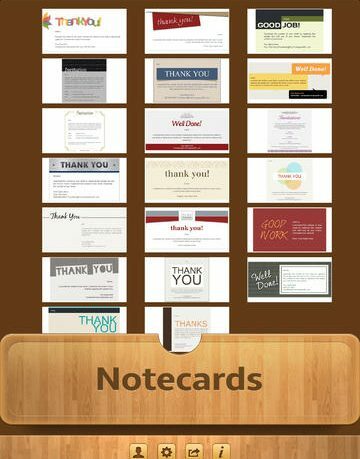 Send letters of thanks, invitations, and appreciation notes instantly. The app is very attractive, and incredibly easy to use, and you will be up and running, and creating your own custom, gorgeous emails in no time at all. It is so natural that you wonder why Apple don’t have more options like this in the default app. Overall, this is a brilliant app, not only for business, for also for personal use as it can easily replace many other apps on you homescreen. For the price, this is more than worth it, and it will soon become an essential part of your iPad business suite of apps. Previous ArticlePress Release: Perfect Hit! One of the most popular new mail apps this year is Mailbox. Its system of swiping a message to instantly categorize it for later action created so much buzz that Dropbox acquired the company earlier this year.